Gusso Surety Bonds is an experienced team of dedicated construction bond professionals in the Sioux Falls, SD area. We’re a tight three for a reason – we’re knowledgeable, we’re streamlined and we move quickly and efficiently. The Gusso team knows surety bonding inside and out. You’ll interact directly with one of our owners on your surety program. We’ve got you covered. 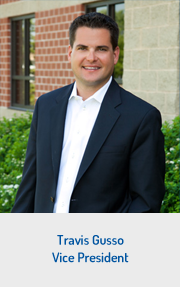 In his position, Jason manages a large and growing portfolio of clients and surety partners. He is also responsible for the overall management of Gusso Surety Bonds. 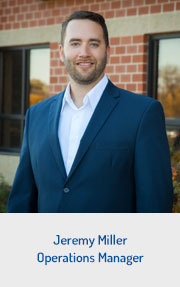 In his personal life, Jason enjoys fitness training, gardening, golf, camping, hunting, fishing and spending time with his wife and three sons. 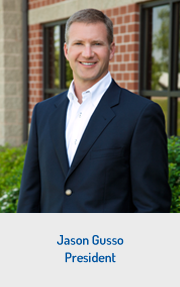 In his role, Travis manages surety company relationships and a rapidly growing book of contract surety bond clients. Travis and his wife Holly stay busy keeping up with their two young daughters, Lilly and Charlie. Aside from spending time with his family, Travis enjoys building race cars with his brother Trent and participating in NHRA Drag Racing. In his position, Jeremy handles the day-to-day bond needs for clients. Jeremy and his wife Melissa stay busy keeping up with their daughter Reagan’s sporting and school activities. He also enjoys spending time with his dogs and collecting vintage bicycles. 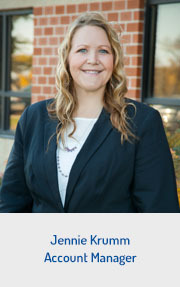 In her role, Jennie assists in the day-to-day bond needs for clients. Jennie stays busy as a pageant mom for her daughter Emma. Along with her husband Eric, the family spends time with Emma’s many volunteer opportunities throughout the community.